A meeting between the Asia Pacific Accreditation and Certification Commission (APACC) and Thailand’s Office of Vocational Education Commission (OVEC) was held on May 30, 2016 to discuss finalization of the list of institutions and plans for on-site visits for the first phase of APACC accreditation in Thailand. Five officials led by Mr. Rangsan Thepmondhri, APACC National Coordinator for Accreditation (NCA) of Thailand and Head of External Affairs, Bureau of Policy and Planning and Dr. Pongsatorn Pimpanit, Head of the Bureau of Vocational Education Standards and Qualifications (BVESQ), talked over final details of accreditation activities in Thailand with CPSCs’ Acting Director General, Prof. Dr. G. Kulanthaivel, Dr. Romulita Alto, CPSC Faculty Consultant and APACC Accreditor and APACC Special Officer for Thailand, Dr. Paiboon Saiyawongs. During the meeting, OVEC identified 23 colleges which will be included in the first phase. This phase will be divided into five batches, where batch 1 (11 colleges) is expected to undergo on-site visit activities in August and September 2016. The remaining 12 colleges will follow in 4 batches due until September 2017. Other important updates on the preparations of the OVEC colleges for APACC accreditation were detailed and shared by the discussants of the meeting. 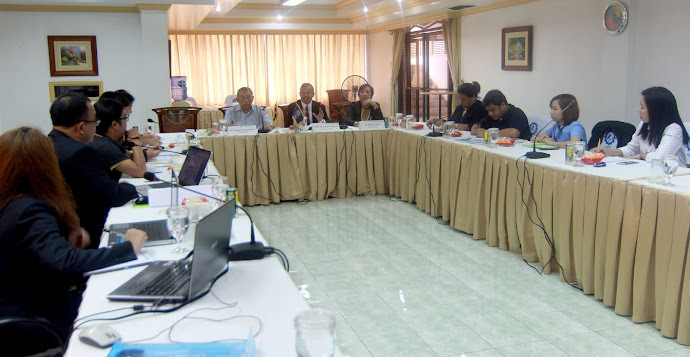 The meeting also dealt with plans for the upcoming CPSC Regional Program to be held in Bangkok in August 2016. 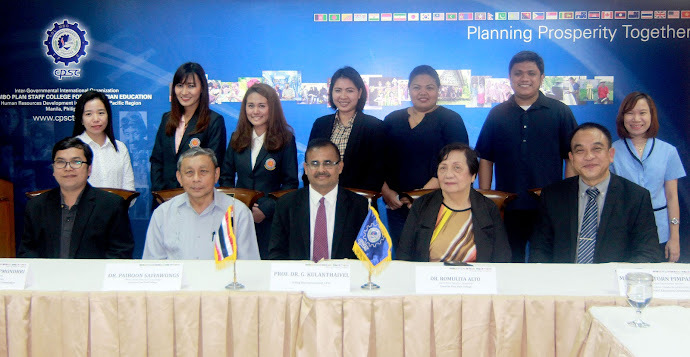 Thailand started subscribing to APACC in 2014 when five TVET experts from Thailand participated in the APACC International Accreditors’ Training. After which, the Memorandum of Understanding between APACC and Thailand was signed, officially allowing APACC to conduct accreditation to TVET institutions in the country. Since then, OVEC worked closely with APACC to prepare colleges under their supervision for APACC accreditation. OVEC formed a technical working committee that translated the APACC Manual and Instruments into Thai language. The committee also did a series of trainings and workshops for colleges to enable familiarization and understanding with the requirements of APACC accreditation. Now that both public and private vocational colleges are being supervised by OVEC, approximately more than 500 colleges in the country expressed interest for APACC accreditation. The officials of OVEC expressed high optimism that APACC accreditation in Thailand will happen this year. The meeting concluded with hopes of strengthening quality assurance in the TVET sector of Thailand and in the Asia Pacific region.